Have you tried everything you can think of to remove that last bit of skin or flab on your stomach? Are abs something you've always dreamed of having, but can't seem to achieve? Are you ready to take a mirror pic flexing a flat stomach? Welcome to the world of cosmetic surgery - an industry that seems to rise in popularity with every year. And as of 2015, the tummy tuck came into 5th place, making the Top 5 list. In that year, 127,967 procedures happened. Did we mention you're not alone? If you're contemplating a tummy lift surgery, make sure to consider all your options. Do some thorough research. Be prepared for the before, during, and after stages. We made it easy on you. If you want a flatter stomach in as little as 1-6 weeks, keep reading to find out how you can make it happen. A tummy tuck - or abdominoplasty - is a procedure that removes excess skin or flab from the stomach region. It also works to tighten the muscles in your abdominal wall. The combination of these things will give you a flatter appearance. This surgical procedure shouldn't get confused with a weight loss option. In fact, surgeons will echo the fact that patients should be at a "normal" weight before having one. Tummy tucks should not get mixed up with liposuction. But, many people combine the two. Have you had liposuction? Then think about using a tummy tuck to optimize body sculpting and contouring. And by people, we mean men and women. These surgeries are not limited to women! There are two different types of tummy tucks: mini and complete. You may not need the full surgery. How can you tell which would be best for you? This option is for those whose fat deposits are below the navel. It is a shorter, less invasive procedure. In most cases, the belly button will not get touched during the surgery. This is for those who fat deposits are in more areas than below the navel. This can be the upper, middle, or lower. This surgery is longer and involves a larger cut. The surgeon will cut from hipbone to hipbone. In most cases, the belly button will get moved or altered to look proportionate to the stomach. Who Are the Ideal Candidates for a Tummy Lift Surgery? As mentioned, tummy lifts are for those who can't reduce the excess skin located on their stomachs. Who might that be? It's also helpful if the candidate doesn't smoke and has a healthy diet. This can be beneficial to a successful surgery and recovery. How Can You Prepare, Before and After? If you're going to have the surgery, you may as well make it the best scenario possible. Adequate prep before and after is so important to make sure you get the results that you want. Don't go through something like this and then go home and reverse the process! 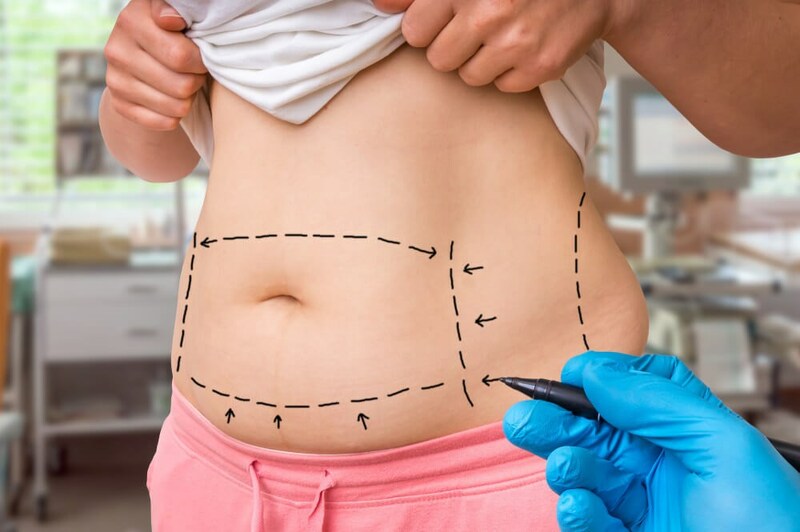 So, what is the recommended preparation for a tummy tuck? Make sure you know everything you can about the surgery's logistics. What is the average cost and recovery time? How long does the procedure itself last? When should you schedule a follow-up appointment? If you're a smoker, you'll need to quit cold-turkey for the 2 weeks leading up to the procedure. This is adamant for a successful recovery. Even an occasional one or two cigarettes is detrimental to the process. Prepare your home. Make sure that comfortable clothing and furniture is within easy reach. Have ice packs at the ready in your freezer. Plan the two weeks following your procedure. Make arrangements for work or your children. Be prepared for limited mobility. You did it! How can you help yourself heal? Continue not smoking for another two weeks after your surgery. Again, this has to be a cold-turkey quitting. Imagine the pain your stomach would be in if you felt a deep cough coming on! Have a friend or relative take you home. Make sure they help you get acclimated in your environment. And when you make it home, avoid any and all strenuous activity. Whether it's lifting your kids or exercising, it needs to wait. Normal activity can begin about two weeks after the surgery, depending on the person. Workouts can resume about eight weeks after surgery. And in the meantime, a stable, normal diet is key to keeping your stomach free of issues. Science Daily offers more crazy statistics about the tummy lift surgery. Not only has its popularity increased 9% from 2014, it's increased by 104% from 2000! No one should ever have to alter their life, appearance, or activity due to their stomachs. Life is too short to spend your time feeling uncomfortable in your own skin. If you think a tummy tuck could be what it takes to restore your confidence, it's worth considering. Remember to look at Before and After photos. Use the online community for reviews, tips, and advice. Have consultations. If you'd like to talk about a potential cosmetic surgery if your future, we're here to help and inform you! Reach out to us today.